FREE Estimates and PC Diagnostics including 25-point system inspection! 30-day Warranty. 616-965-6972 Local Computer Repair Grand Rapids, MI, PC product sales, web design, online marketing & SEO. In store, onsite, & online - Virus removal, PC tune-up, software/hardware install & upgrade, wireless networking, data recovery/transfer/backup, and printer/device setup are a few of our common residential customer needs. 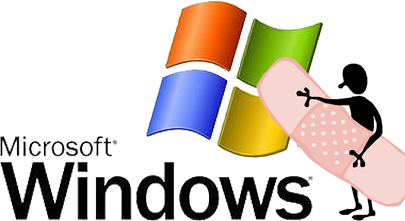 Microsoft is giving us a bit of a lighter month for patching with four bulletins to fix a total of five vulnerabilities. Four of the vulnerabilities are listed as critical and they affect the Help and Support Center, Access, and the Canonical Disply Driver. Many exploits in-the-wild have been made on the Help and Support Center vulnerability since it went public last month on June 10th. The vulnerabilities rated as important affects Outlook dealing with bypassing the program’s ability to detect unsafe file types via file attachments. All of the vulnerabilities are client-side so an attacker would need to trick a user into performing a specific action in order to be successfully exploited. Install vendor patches as soon as they become available after proper testing in a test environment before applying to a production environment. It is important to run all applications at the user level (least privileges) and only run the administrator account and as a privileged user to maintain functionality of the machine as needed (i.e. When needing admin privileges to install an application, a user can use the RunAs function to quickly switch to Administrator privileges while logged into a lower-privileged user). Users should avoid downloading files from unknown or questionable sources - whether an email with attachment from an unknown sender, downloading from questionable website, or using flashdrive media where the integrity of the drive such as the drive's origin is in question. Block external access at the network perimeter to systems until specifically required. A previously public (June 10, 2010) remote code execution vulnerability affects the Microsoft Help and Support centre due to how it handles the HCP protocol in specially crafted URIs. An attacker can exploit this issue by tricking an unsuspecting victim into viewing a web page containing specially malformed content. A successful exploit will result in the execution of arbitrary attacker-supplied code in the context of the currently logged-in user. A remote code execution vulnerability affects Access ActiveX controls when loading a succession of controls into Internet Explorer. An attacker can exploit this issue by tricking an unsuspecting victim into viewing a web page containing malicious content. A successful exploit will result in the execution of arbitrary attacker-supplied code in the context of the currently logged-in user. A remote code execution vulnerability affects the ‘ACCWIZ.dll’ ActiveX control due to a memory corruption error when instantiating the control. An attacker can exploit this issue by tricking an unsuspecting victim into viewing a web page containing malicious content. A successful exploit will result in the execution of arbitrary attacker-supplied code in the context of the currently logged-in user. A previously public (May 18, 2010) remote code execution vulnerability affects the Canonical Display Driver (‘cdd.dll’) because it fails to properly parse information passed between user-mode and kernel-mode. An attacker can exploit this issue by tricking an unsuspecting victim into viewing a specially crafted image file. A successful exploit will result in the complete compromise of an affected computer. Affects: Windows 7 and Windows 2008 R2 for x64-based systems. A remote code execution vulnerability affects Outlook because it fails to properly verify attachments that are attached using the ‘ATTACH_BY_REFERENCE’ value of the ‘PR_ATTACH_METHOD’ property. An attacker can exploit this issue to run an arbitrary executable in the context of the currently logged-in user when the attachment is opened. FREE Estimates and PC Diagnostics including 25-point system inspection! 30-day Service warranties. Computer Repair Grand Rapids, MI, PC product sales, web design, online marketing & SEO. In store, onsite, & online - Virus removal, PC tune-up, software/hardware install & upgrade, wireless networking, data recovery/transfer/backup, and printer/device setup are a few of our common residential customer needs. Commercial customers can benefit from our Managed IT services, allowing owners to concentrate on their core business objectives. Our Web services will increase your online exposure, stand out from competitors, and bring people to your business, not just your website. © 2008-2012 Digital Designs LLC | Computer Repair & Web Design Services | Grand Rapids MI. Simple theme. Powered by Blogger.